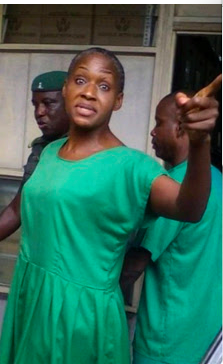 Kemi Olunloyo has been refused bail and remanded in Port Harcourt prison for the second time in two weeks. This time, it was the Federal High Court in Rivers State that denied the daughter of the former governor of Oyo State bail and remanded her in prison after a Magistrate Court had granted her bail earlier today, Punch reports. Charges against the Port Harcourt-based publisher, Samuel Walson, were dropped.